I love that saying - it is so true! 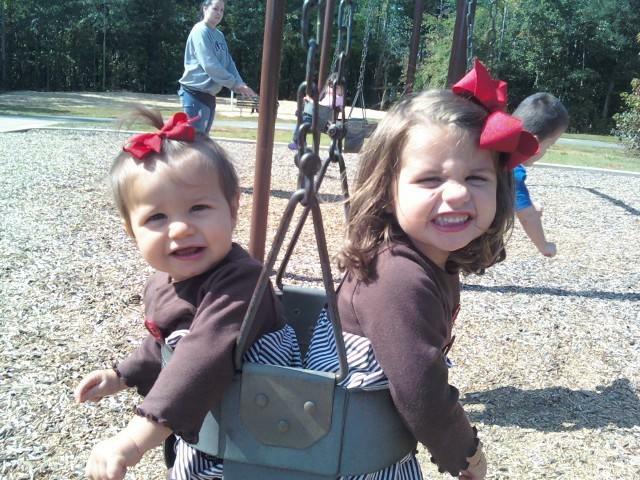 What precious girls!!! I pray that they will always be this close! I think that saying is so true. Sisters can be from the same parents and yet be so different. These two are so cute. Oh my gosh, they are all so cute! Angela, I LOVE that saying. I have never heard it before. I especially love it, since I have a sister and I have 2 girls too. So sweet!!! And what cute pictures of your granddaughters and nieces. My girls always loved to swing too! Hope your week is going well. Love & blessings from NC! Super cute! You should find one of those frames that hinges in the middle and has a frame on the right and one on the left and put these pictures in it! They will be the best of friends!! 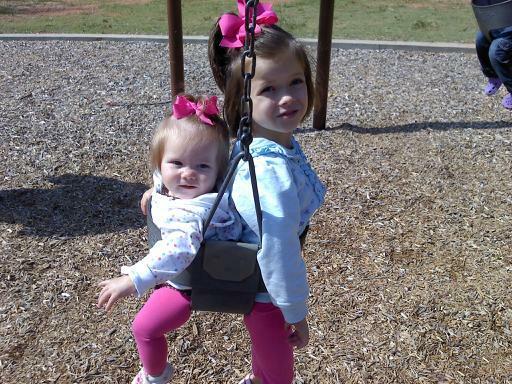 They are so cute, I would give anything to have a sister! My biggest prayer for EC was that she'd have a sister, and I am THRILLED they have each other. I love my 2 girls. The LITTLES Have A Party! It's What We Prayed For. God Is Good. I LOVE The Memories I Have With My Sisters! Fun Baby Shower!! A FUN Giveaway Surprise! !